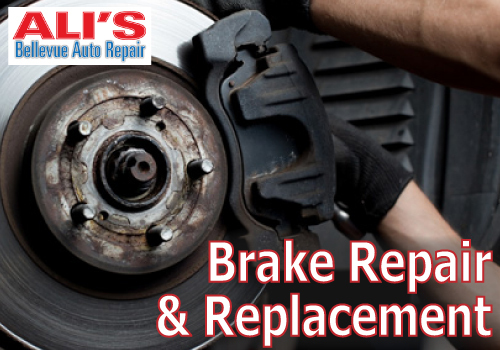 Ali's provides comprehensive brake repair or replacement for every make and model of vehicle. If you would like a free brake inspection, then bring your car in today. We handle all kinds of repairs for your vehicle including repairing your brake system. No matter the brake problem we will provide professional services to get your car running correctly. We have the equipment and expertise to fix your rotors, calipers, a pad replacement, or to do any other type of brake related repair. And we can complete all the work on-site. We are truly your comprehensive auto service and repair company. With your braking system, it is important to be proactive- replacing parts of your brakes BEFORE it is worn out will keep you from having complete brake replacement or other more costly repairs. When getting any service with Ali's, remember to ask for a brake check as well. We will provide a complete screening and let you know the current ware on your brakes. 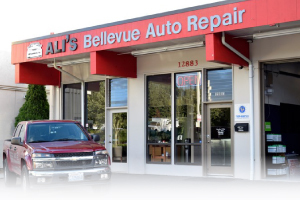 We are pleased to serve the Redmond area and aim to be the most recommended, local shop. While using your vehicle brakes ware over time and repair becomes compulsory. We always aim to exceed your expectations. Bring in your car to us we have the technology, training, and expertise to fully handle your brake repair along with all other types of auto repairs. We have been your local, family-owned auto service shop for decades. Rotors, drums, disks- we take care of it all. Ali's will also inspect and check on your car's fluids and hydraulics. Do not listen to your car screech or squeal for any longer! Bring in your car to Ali's today!